Suggested by Sonic It’s time for a battle of legendary Pokemon! 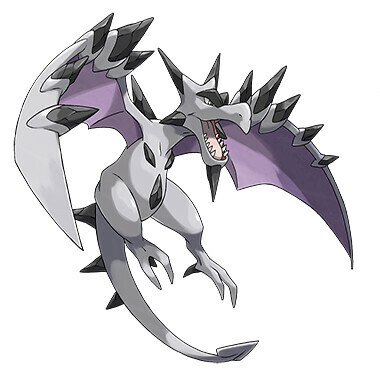 Yes, Aerodactyl isn’t a legendary Pokemon in the same sense, but as he is extinct and only still around thanks to the fossils, he is legendary in a more literal sense. Moltres would typically win this fight rather easily, but Aerodactyl has two things in his favor. One, his rock type makes him double super effective against Moltres since it beats both fire and rock. 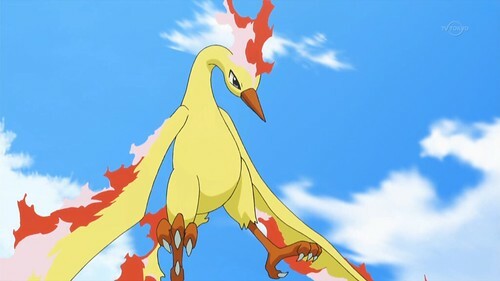 Furthermore, he has access to a Mega Evolution which increases some of his stats even higher than Moltres. I’m afraid that this flame bird simply doesn’t have enough power to stop him. Aerodactyl wins. This entry was posted in Aerodactyl Battles, Battles, Moltres Battles and tagged Aerodactyl, Moltres by dreager1. Bookmark the permalink.